After landing on the Maldives in the mid-1970s, Norbert is probably one of the Maldives’ pioneers. 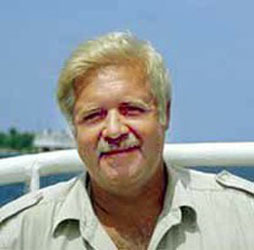 As a travel journalist and diving photographer, Norbert led dive centers in the Red Sea and the Maldives. 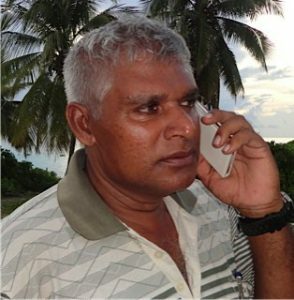 For more than 30 years now, “Nobey” has been more or less a local in the Maldives. He and his team have been focusing on safaris for a long time now. 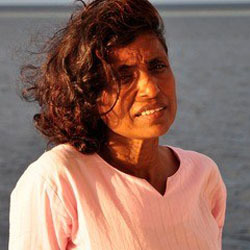 Well-known boats such as the Femunu (1981) Pollux (1997) Fatima (2005) Sharifa (2008) Ari Queen (2012) were under the management of Mal-Dive. pvt. ltd. Today the Keana, one of the most comfortable boats for enthusiastic divers is on the way. Born in the diving school on Bathala, grew up in Kärnten’s Alps near Vienna, Austria, and found his way back to the Maldives. Alex has been an ambitious diver and underwater videographer at MV Keana since September 2015. The professional instructor, who has been professionally trained since 2004, is the interface between the guests and the crew at MV Keana. 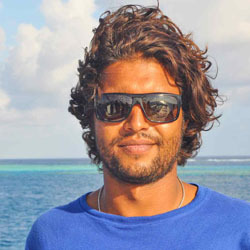 Begun as Compressor Boy, he is now a manager on the Maldivian side of the Maldivian side and is irreplaceable in the daily business of Mal-Dive. pvt. ltd. Nasir reflects the philosophy of the company that has already gone through high and low. Cooperation and trust with local communities. The secret boss, always at the beginning of the week at the boat to meet again and again, takes care of bookings but does not let it take itself not to let also times the rooms make new ones.